The Indo-US Nuclear Deal has triggered a ‘ No Confidence Motion ‘ to take place in parliament on July 21-22 against the Indian Government. There is a disturbing news report which reveals that many political parties are demanding the following to support the government on Indo-US nuclear deal. This is how world’s largest democracy functions. It is being highlighted that the deal is necessary to ensure energy security. 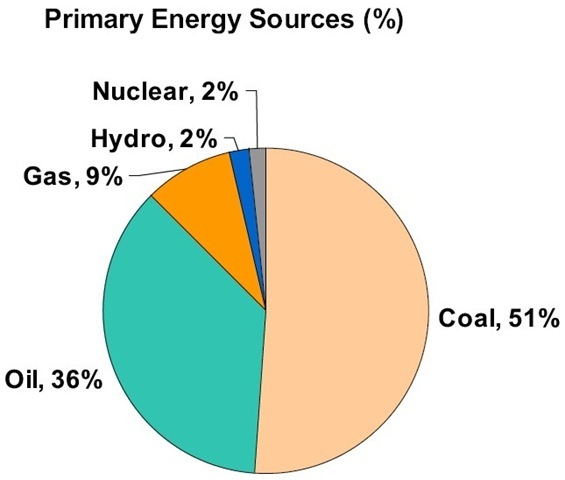 Just look at this pie chart below which shows the primary energy sources in India. 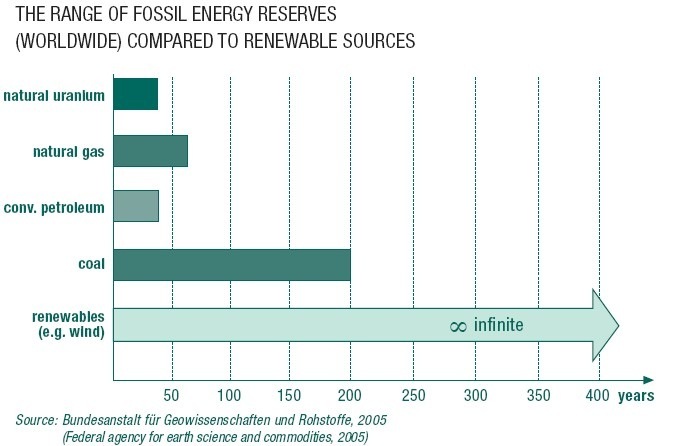 From the pie chart it can be seen that only 2 percent of the energy comes from Nuclear power. The hidden agenda of the Indo-US deal is available at Rediff News from Minhaz Merchant. The Indo-US nuclear deal is a sugar coated version of the Nuclear Non-Proliferation Treaty which India refused to sign since 1970s under both Congress and BJP governments. The present nuclear weapon states are: US, Russia, Britain, France and China. These countries want to have exclusive control of nuclear weapons. All these countries have more than 25,000 nuclear bombs which they refuse to dismantle. Also they don’t want any other country to become a nuclear weapon state. The other unrecognized nuclear weapon states are: Israel, India, Pakistan, North Korea and Iran. US has come out with a strategy to eliminate each of the unrecognized nuclear weapon state. Israel: very much under the control of US. Pakistan: is a US client-state, very much under control of US. North Korea: has been eliminated successfully with a combination of coercion and cash. Iran: being threatened with invasion and sanctions are imposed. Now how to eliminate India from being a nuclear weapon state ? by brilliant 123 agreement of Indo-US Nuclear Deal. At present only 2 to 3 percent (see pie chart above) of India’s total energy requirement comes from nuclear power. This can at the most increase to 6 percent. Compare this with energy loss in India due to power transmission and distribution. Whopping 27 percent ! India can continue to remain as the largest democracy because of population in stead of being a nuclear weapon state. Western and Russian civil nuclear infrastructure companies can get business worth over $120 billion from India. Benefits of capping Indian nuclear weapon programs. Now the country can wisely decide whether the Indo-US nuclear deal is necessary or not. Read the full article from Rediff News. Here are some more views against the Indo-US nuclear deal. An interesting article ‘ Indo-US Nuclear Deal: Why this hurry and at what cost ? ‘ by Dr Sandeep Pandey. 9 points against the deal as comments by Protik Maitra from North Carolina in ‘ Youth protest Indo – US nuclear deal ‘. Note: To know oceans as energy sources, refer to related posts given below. Three top scientists — P. K. Iyengar (former chairman, Atomic Energy Commission), A. Gopalakrishnan (former Atomic Energy Regulatory Board chief) and A.N. Prasad (former Bhabha Atomic Research Centre Director — have written a letter of appeal to Members of Parliament (MPs) not to support the Indo-US nuclear deal. Read more from The Hindu. Here is another article by Arun Shourie against the deal – Necessity is the mother of fabrication too and The fabrications of government from The Indian Express. Subsequent to winning the No Confidence Motion on July 22, India wants to push the deal faster. Now Pakistan is stepping up diplomatic efforts in Vienna to press for a vote on the India-specific safeguards agreement besides questioning the hurry shown by the IAEA to obtain approval for this agreement. Read more from Indian Express. But U.S is confident of convincing Pakistan not to vote against India. Read more from Thaindian News. France, which has 59 nuclear reactors to provide almost 80 percent of its electricity, has suffered nine nuclear mishaps in the last three weeks. Read more from Spiegel Online. Governors of the IAEA approved India specific safeguards agreement by consensus on August 01, a key step towards finalising a US-Indian nuclear cooperation deal. Read more from Express India. Also here is a graphical presentation on world’s Uranium producing countries. Here is a graph which says that natural uranium reserves will deplete by 2045. Thereafter what to do with nuclear reactors with billions of Rupees invested on it ? Further Indo-U.S nuclear deal is heading for rough weather. N-deal will not supersede domestic law: U.S. Read more from Rediff News. Also US Congressman Howard Berman, chairman of the House Foreign Affairs Committee, fired off an angry missive to US Secretary of State Condoleezza Rice about his angst over the administration’s efforts to seek an exemption for India from the NSG that is inconsistent with US law. Read more from Rediff News. Smaller nations like Switzerland, Austria, Ireland, Norway, New Zealand and Netherlands are likely to propose changes in Indo – US Nuclear deal. Read more from The Times of India. Also Washington based Arms Control Association (ACA) is asking Nuclear Suppliers Group (NSG) to reject Indo – US deal. Read more from Thaindian News. Germany is phasing out all nuclear reactors by 2021. How do they ensure energy security ? Interesting image gallery is here at Spiegel Online. In France where 80 percent electricity comes from nuclear energy, public opinion about nuclear power is changing due to increase in nuclear reactor accidents. Read more from Spiegel Online. If Indo-U.S deal gets through, the gainer is U.S as the deal would create 3000-5000 direct jobs and 10,000-15,000 indirect jobs in the US nuclear industry. Read more from Express India. The loser is India as it is now clear that if India detonates a nuclear explosive device, the US has the right to cease all nuclear cooperation with it immediately, including the supply of fuel. Read more from Express India. Nuclear Suppliers Group (NSG) on September 06 granted a crucial waiver that will enable India to carry out nuclear commerce, ending 34 years of isolation enforced in the wake of the 1974 Pokharan nuclear tests. Read more from ExpressIndia. India and the US on October 11, Saturday sealed the nuclear deal even as New Delhi said it was bound only by the “agreed text” of the 123 Agreement. External affairs minister Pranab Mukherjee and US secretary of state Condoleezza Rice signed the bilateral civilian nuclear cooperation agreement, which paves the way for the entry of American companies into the Indian nuclear market. Read more from The Financial Express. A fire broke out at the Kashiwazaki-Kariwa nuclear complex owned by Tokyo Electric Power Co. The incident occurred within two days of a full week’s inspection by a team of 10 experts from the United Nations nuclear watchdog, International Atomic Energy Agency. Read more from Fire Earth. View world’s worst nuclear disasters from Time Photos. The present nuclear power capacity of 4120 MWe will reach 7280 MWe by the year 2011 on progressive completion of projects under construction. Read more from Press Information Bureau.